Your weekly streaming pick has arrived. Once again courtesy of Amazon Prime. Jack Ryan, the Prime Original series is fantastic. Falling in line with his badass transformation, John Krasinski makes his return to the small screen as the infamous Tom Clancy character. 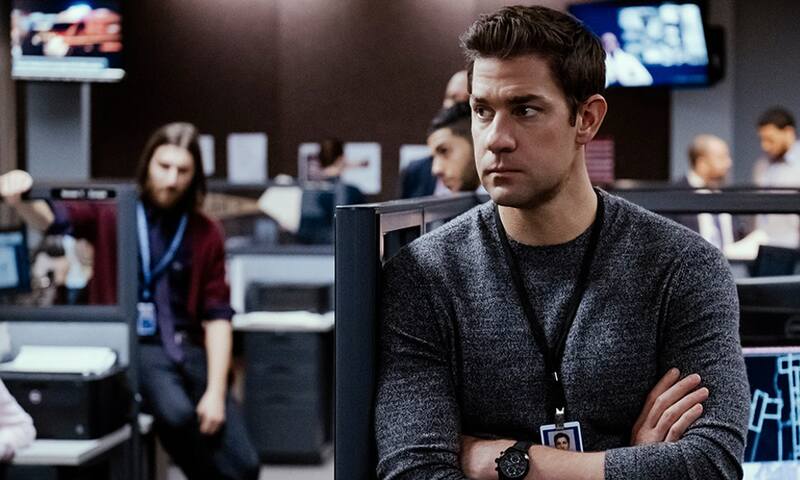 Ex-Marine Jack Ryan (Krasinski) works a safe job behind a desk as an analyst for the CIA. Tracking a series of suspicious bank transfers, Ryan believes he is on the track of a rising terrorist figure head, Suleiman (Ali Suliman). Ryan’s new boss is fresh on the scene after a demotion. James Greer (Wendell Pierce) is bitter at the world for his new position and butts heads with Ryan. When’s Ryan’s theory starts proving to be true the two are thrown into a partnership that brings them to the forefront of a new terrorist plot against the United States. Tom Clancy is an American author who never quite found the notoriety of Stephen King, JK Rowling, or Mark Twain, but is a massive success with a loyal following. Clancy’s gig (for the three of you reading this who don’t know) was in espionage and military themed thrillers. Clancy’s career started in 1984 with the novel of The Hunt for Red October. This novel gave birth to Jack Ryan, a character that would carry on through Clancy’s career and surpass the man after his death in 2013. Jack Ryan is one of, if not the, most famous of Clancy’s characters. Krasinski is the first to play him on the small screen but many great actors took their turn with the character on the big screen. Alec Baldwin, Harrison Ford, Ben Affleck, and Chris Pine all had a shot. These actors had varying degrees of success but the character and Clancy’s names were usually a big enough draw for audiences to take a trip to the theater. The Amazon Prime series debuted recently, dropping the entire first season all at once. While you may be tempted to binge this one, I recommend parceling it out. The show is fantastic. There is some great attention to detail and seeds are planted that pay off later in the series. Binging is fun to absorb the big picture but a lot of the smaller details tend to get lost in the wash.
Of course Jack Ryan is the titular character and of course Krasinski does a great job. His natural charisma translates well into a more confident and action forward role. Despite his long run as Jim Halpert on The Office it’s not hard to see Krasinski as the Marine/Analyst forced to step up and take charge of his situation. The early episodes give some hints as to who Ryan is but thankfully the writer’s don’t waste a ton of time on overdone back story. The information on Ryan exists with decades of stories to catch up on. You are given everything you need. Seeing a previous Clancy film or reading one of his novels is not a prerequisite to the show. One thing that impressed me was the balance in storytelling. It’s easy in our current world to tell a story of good vs evil. America being the good and the extremist/terrorist groups coming at it being evil. I’m not making an argument this isn’t the case. Not by a long shot. The Jack Ryan series makes a bold move and makes the big bad understandable. 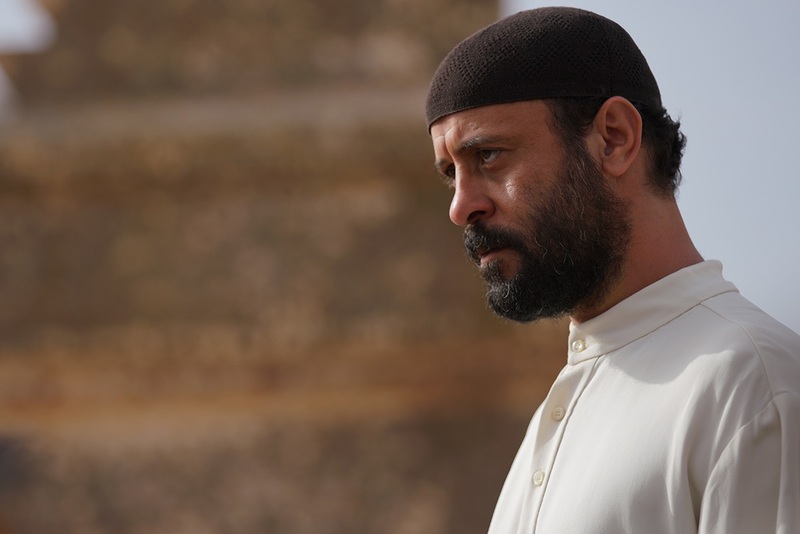 I wouldn’t go as far to say sympathetic or relatable, but the back story given to Suleiman invests you in the show further as well as gives the actor something more to do than glare and scoff. Jack Ryan has already been renewed for a second season. Being a product of Amazon you know the production is top notch. The show offers a little something for everyone and all the elements come together to present an impressive product.